The Mathematics and Modeling Department at Schlumberger Doll Research (SDR) is investigating the development of state of the art data science methods to measurement data pertaining to complex problems in the development of oilfields. The data are acquired inside wells using multi-physics measurements ranging from electromagnetic (optical, NMR, low-frequency EM, resisitivity) to acoustical (ultrasonic, sonic, seismic). 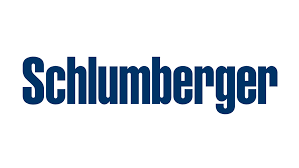 Schlumberger-Doll Research (SDR) is the prime corporate research center for Schlumberger, the world’s leading supplier of technology, integrated project management and information solutions to customers working in the oil and gas industry worldwide. SDR hosts more than 110 scientists working in various fields including geophysical measurements, geosciences, and computational sciences. SDR is located in Cambridge at minute-walking from many landmark buildings such as MIT CSAIL Stata center. Several dozen interns are hosted each summer at SDR. Previous interns have highlighted the working environment, camaraderie, diversity in expertise and domains of interest, learning about new technical challenges, the cafeteria and the outside activities offered in Cambridge as prime elements they enjoyed during their stay at SDR. Internships have often lead to presentations, conference and journal publications as well as patent applications. Applicants should send a brief letter of intent and resume via E-mail to SDRJobs@slb.com with the reference MM-SZ. Schlumberger is an equal opportunity employer and is committed to the diversity of its workforce. The intern will work within a multi-disciplinary team to adapt and implement new 3D low frequency finitie-difference EM solver for 3D oil reservoir characterization and real-time reservoir mapping and navigation. The 3D solver needs to be paralllelized and optimized for performance on multicore Windows and Linux platforms and on GPUs. The will be interfaced to imaging inversions. The successful summer intern has a stronger background in HPC, fortran, and experience with optimizing computational algorithms. Familiarity with PDE solvers and computational electromagentics is preferred. Advanced undergraduate or graduate (MS/PhD) student in Applied math, CE, CS, EE, ME, or related fields with courses, and preferably thesis work, related to the subject domain.